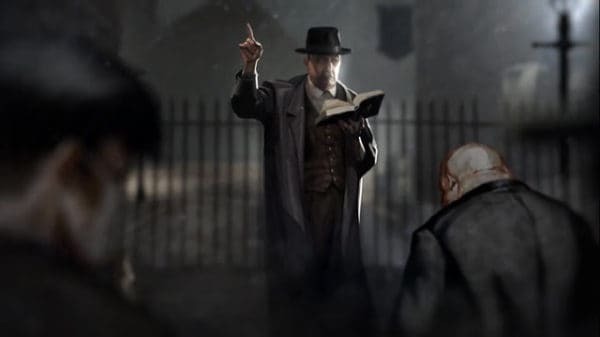 A war-torn London houses more than just a deadly epidemic in this new horror action game. 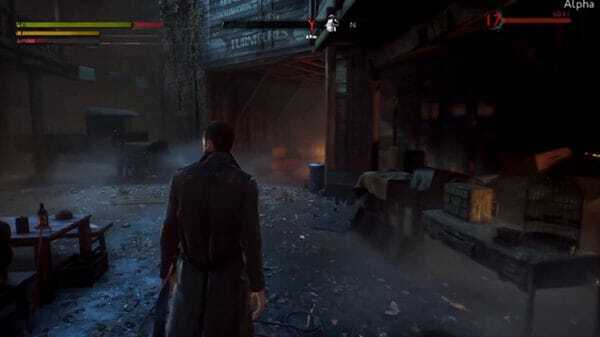 Dontnod‘s Vampyr brings together a strong combat system with a mixture of RPG elements that make it a strong contender for best game of 2018. Making this way more than just taking a bite out of some memorable characters. 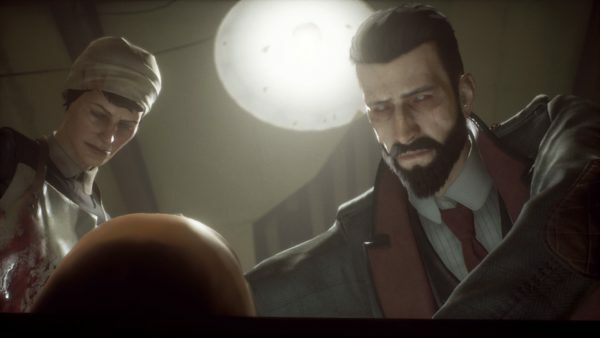 Vampyr focuses on Dr. Jonathan Reid. A renowned field medic that revolutionized the world of medicine with his discovery of blood transfusions. Upon returning to London from the first World War, Jonathan finds London torn apart, not just from the deadly Spanish flu, but of a far deeper, darker, and bloodier threat than the doctor has ever seen. It doesn’t take very long for him to understand the issue first-hand. This is because Jonathan is violently attacked by a vampire and converted into a bloodsucker himself. Along with his new powers, come new allies that help him tame his condition and figure out who is behind his conversion. However, everyone has their own secrets, and with them come numerous consequences. Upon meeting with the fanatical Doctor Swansea, Jonathan is employed at the Pembroke Hospital. The home base for studies on cures, investigations, and the main hideout from the world. The hospital also serves a double purpose, providing a feeding ground for his new self. The hospital houses over a dozen patients, with a small staff that relies heavily on dwindling supplies and no breaks whatsoever. Vampyr does a phenomenal job in adding realism into a fantastical setting. The majority of the game takes place in London where it’s streets are filled with chaos. However, it doesn’t follow the gothic style London that you would normally see in popular media. Instead, the game is much more grounded. During the first World War, countries were entering the Great Depression era. Soldiers that came home expecting honor and glory, ended up jobless, penniless, and in poor conditions. Not to mention, with war came diseases such as Tuberculosis, Pneumonia, and even the flu. Causing districts to be either quarantined or entirely abandoned. Vampyr consistently sticks with this throughout the game as well. This is not Twilight or an Interview with a Vampire. Dontnod firmly places their stake in history. The only thing that makes it fiction is the obvious vampires that stalk the streets. Plus, it uses a doctor who’s sworn to heal the very patients he kills, driving plenty of forks in the road for players. The gameplay in Vampyr is very straightforward. Players have to drink blood. Each time they drink blood, it counts towards Bloodpoints and experience points. 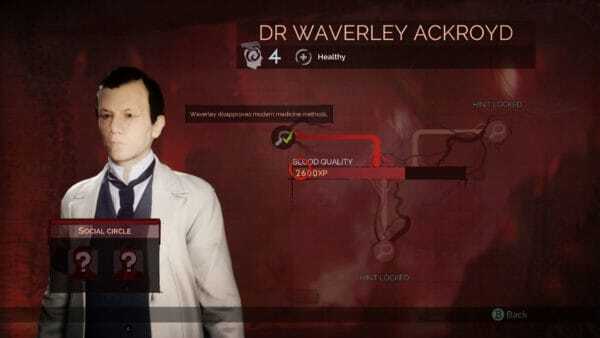 Bloodpoints are used more in combat. Similar to the mana bar in Role-Playing games. Once you have a full bar of bloodpoints, players are granted multiple uses for their abilities. Thankfully, the game is pretty fair in how to distinguish and replenish bloodpoints. For example, Jonathan has the ability to stun enemies. He can use a stake, a scalpel, and even a gun to do this. 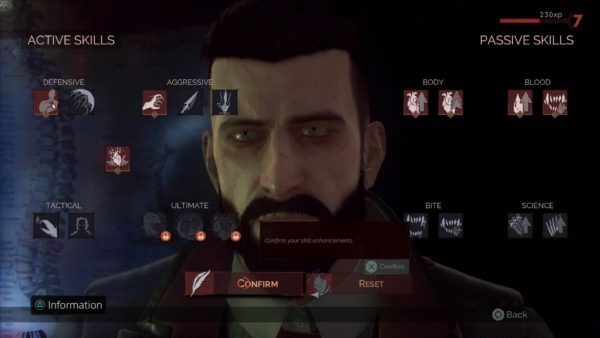 Once stunned, he can go in for a bite that replenishes bloodpoints and also offers a regenerative health ability. Giving the player the option to gain more power, or heal themselves. These moments are crucial in battles, as they can determine how fast and how lethal you can be to an enemy. Experience points can come from battles. However, unlike other RPG games, killing enemies may not be enough. Instead, players have to make the decision between biting and killing characters. If a player chooses to bite a character, the number of experience points gained doubles. But, with biting comes great consequences. Biting a character not only means death, but also conversion. Thus causing districts within the game to be severely affected. Players that go down this road risk facing heavy encounter rates and much tougher monsters. Another way to gain experience points is by healing patients. 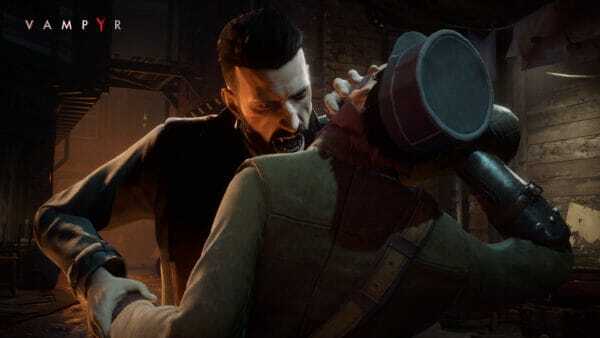 One of the main goals of Vampyr is to heal the patients that Jonathan meets. Healing patients can affect the district in a positive way. Making them more valuable in the process. The methods of healing come from actually mixing items in Jonathan’s hideout. Players can find various items from enemies, quests, and even in the environment. Ultimately, helping Johnathan level up his weapons or create cures for various diseases. 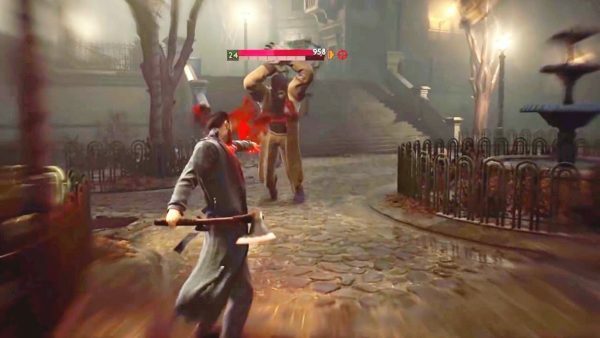 The combat system behind Vampyr is not really difficult, as much as its rather odd. It tries to replicate popular games like Dark Souls by including various forms of parrying and stunning. It even limits players by only allowing two offensive abilities at a time in battle. While the player focuses on leveling up weapons and stats. All in all, it is a decent system, but not the best. The majority of the game is focused on keeping the environment safe. And since the environment is story driven, the combat doesn’t get too cumbersome. Enemies do respawn and there are some tough boss battles, but I never ran into anything impossible that made Vampyr feel cheap or crazy difficult. Every detail counts in Vampyr. The game really goes into the nitty gritty of Vampires. Explaining their origins, the different species of vampires, factions, and more. It is incredibly descriptive in terms of offering information about the vampiric world. There are even moments where actual psychology is included. Explaining how certain mental illnesses are the reason behind some of the Vampires in the game. The music composition in Vampyr is by far one of the best I’ve heard. It helps add so much to the experience of the grim and gothic atmosphere. Offering an extra intensity in many of the scenes. Especially, when Jonathan confronts his foes. The story has a strong plot that leaves players on the edge of their seats. Detail oriented backgrounds and characters. Battle system is a little clunky and you don’t gain much either, except to bypass areas. There are moments where the characters glitch out. Especially, during dialogue cut-scenes. Overall Score: 8.0 Out of 10 Vampyr is a very intense story driven game. It does have some flaws in its combat system and it has a few technical glitches. Overall though, it is still an enjoyable experience. The game really takes into consideration the setting and uses it very well to convey the grim situation of a disease filled London. It also properly describes the troubled times that London went through post World War I. Just with crazy bloodlust vampires in the streets. I firmly believe many gamers out there would enjoy Vampyr. Especially, if they’re looking for a new horror action game, or just really like vampires. The game is true to detail, has an intense plot, includes interactive environments, and is simply a fun game. Vampyr is a jewel that gamers should not miss.